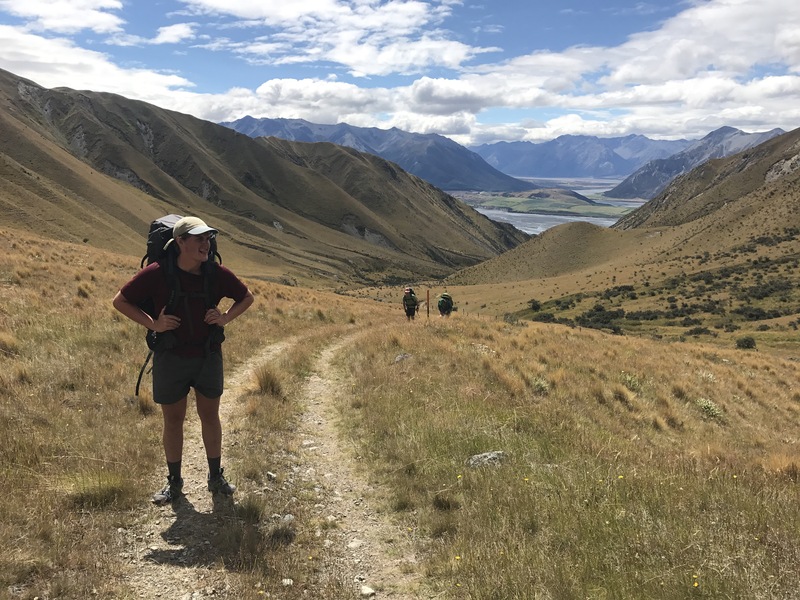 Jasper Jarecki (NY), Sam Bartusek (IL), Will Shepard (VT), and Jack Durham (TX) walk the full length of New Zealand via Te Araroa, "The Long Pathway." 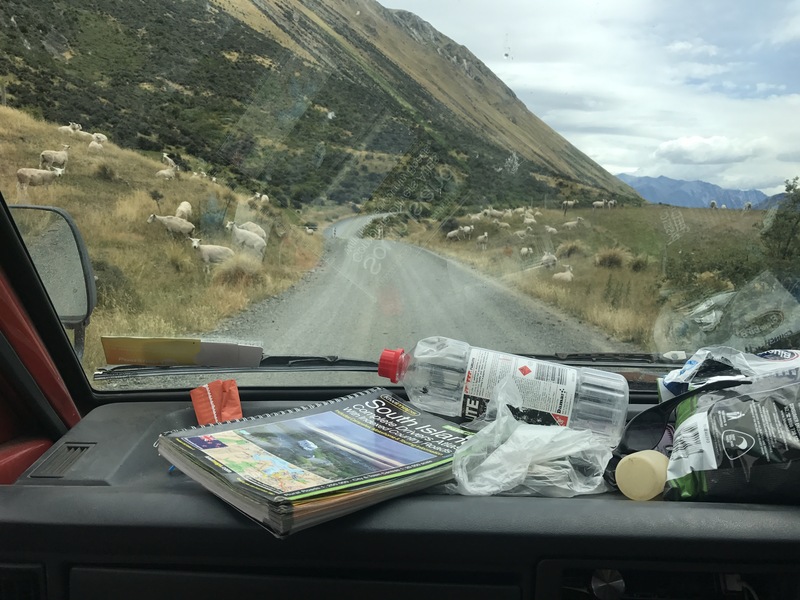 Day 123 – Te Anau Zero Day! 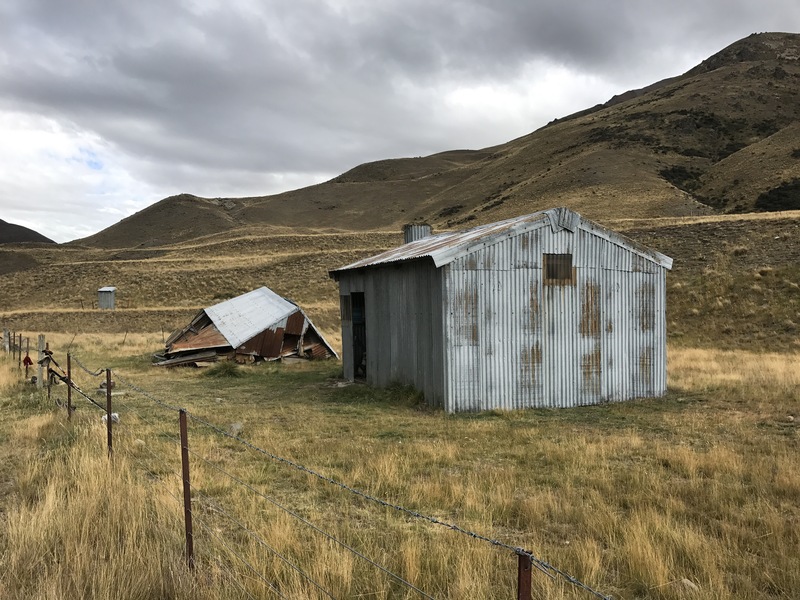 Day 81 – St. Arnaud Zero Day! 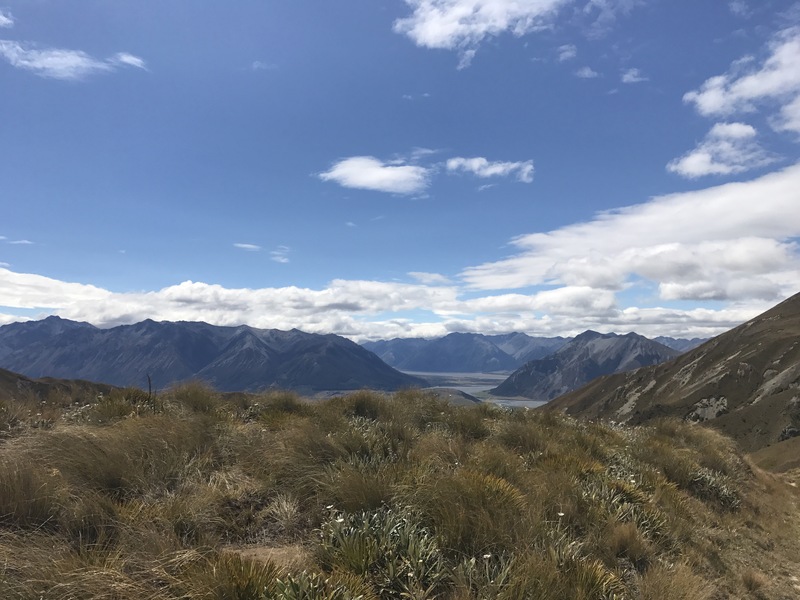 Day 65 – Waitewaewae Hut Zero Day! 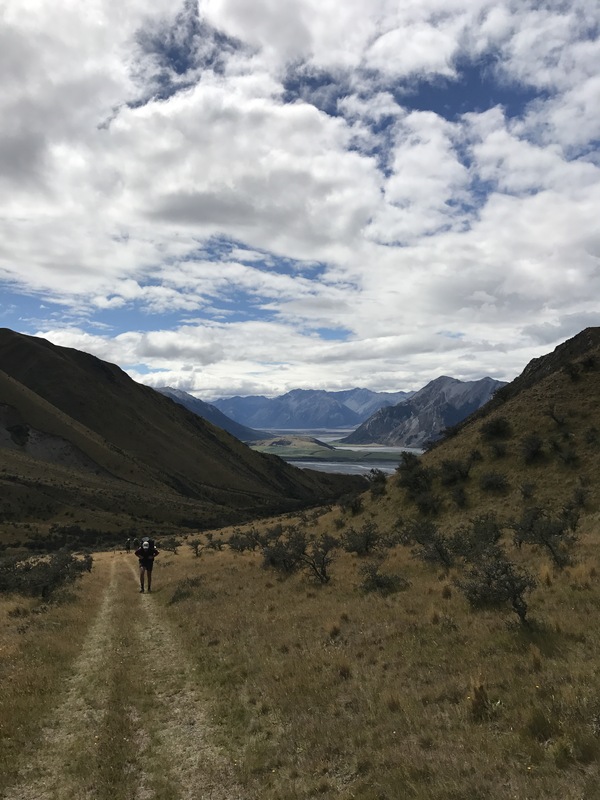 Day 58 – Palmerston North Zero Day! 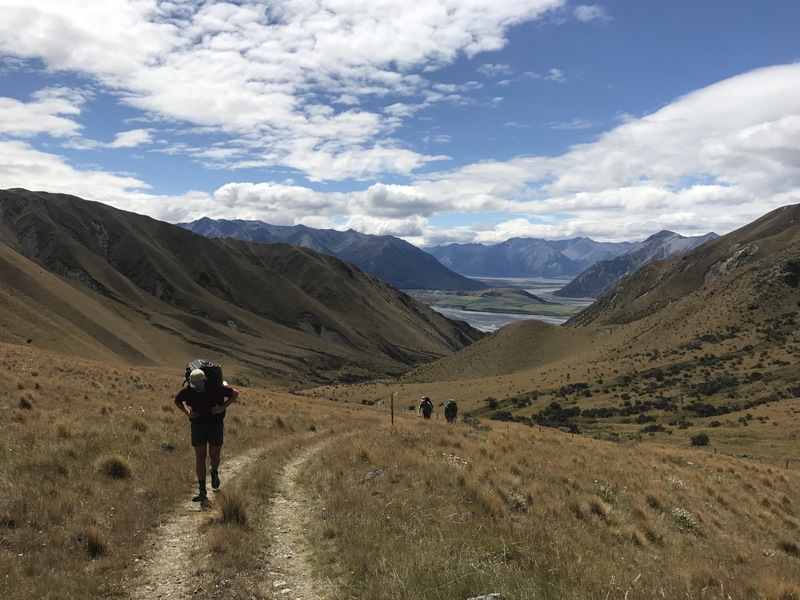 Day 27 – Auckland Zero Day! 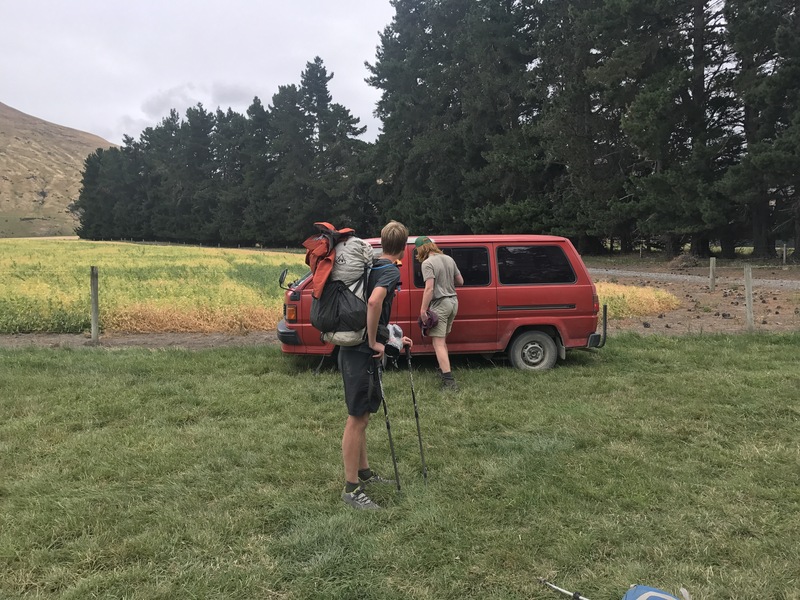 Day 4 – Utea Park to Ahipara; 100 km! Today we got to sleep in a bit in the Harper River Campsite area where we had met Jack and Thomas the night before. Wayne from Alps2Ocean came in his van to drive a couple around the Raikia, and we were able to arrange a ride around the Rangitata with him. After some waiting, another gentleman came and gave us some petrol, free of charge. We all piled our gear into Roxi (van) and set out. Our first stop was Lake Coleridge Lodge to pick up our food box. They kept it there for us and charged $45 for the service. We then drove from Coleridge into Methven to get some snacks and more gas for Roxi. Finally ready, we left Methven and began our long and rocky drive to the trailhead. When we arrived, we wrote a note explaining that we would be back, and left Roxi on the side of the road by the trailhead. Now, for the first time as a group of 6, we were ready to walk. The first portion of the day was very North Islandy, with a lot of cows and styles to hop over. 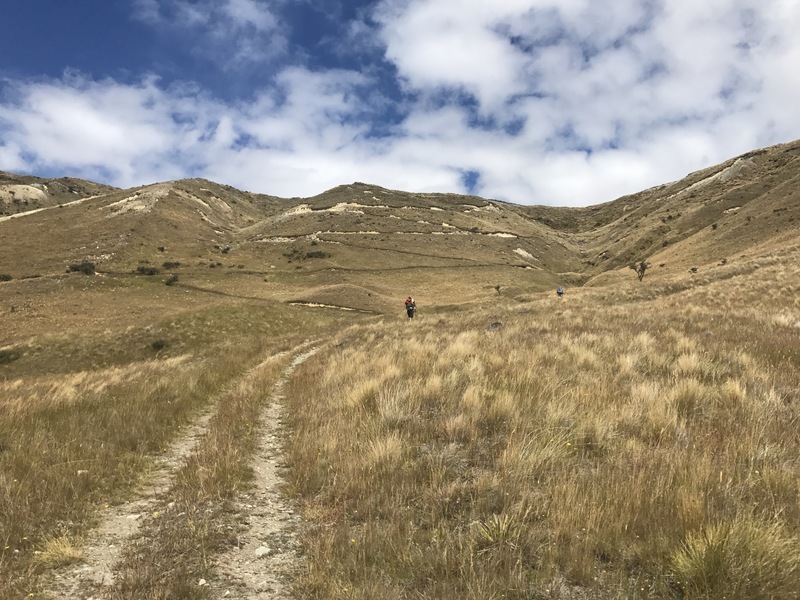 The climb up to the saddle was gorgeous in the beating sun, and involved pretty consistent switch backs climbing upwards. We made our way down, and made a few stream crossings on our way to Comyns hut, where we arrived at ~6pm. The hut only had two bunks left, so Shepard and Thomas took the beds, while the rest of us set up tents. Good water access at stream only ~50m from hut. Cheesy couscous for dinner, and then Hearts in the MSR tent. Already seems like Thomas and Jack are going to be a fun addition.